Before I begin, I would like to say thank you to my friend and big brother in Christ—Julian—for giving me the opportunity to guest post on his site! His posts are awesome I know that God has great plans for him, his family, and his blog! 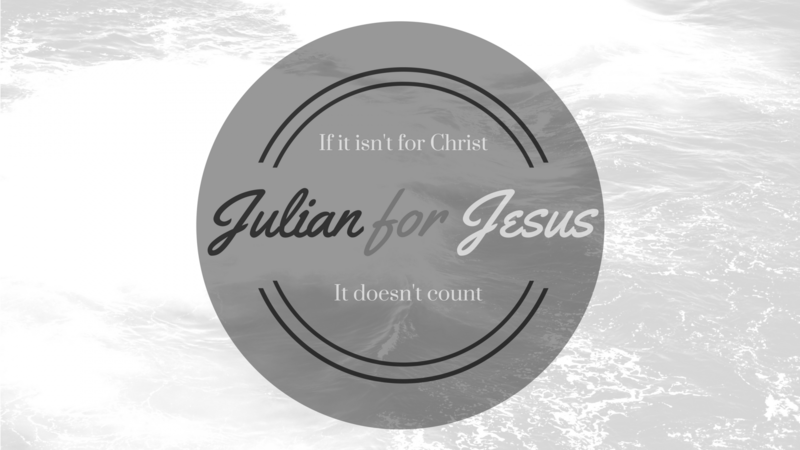 When Julian asked me to write a guest post, he asked that I speak about a time when I felt God’s presence in my life. After a lot of thinking, I realized that the way that God is revealing Himself the most strongly right now is through my friendships. Throughout the years, God has placed some amazing people into my life who have encouraged me in my walk with God and helped me grow. Upon the arrival of sophomore year, even amidst the continuous drama I was dealing with, I soon found myself becoming closer with fellow classmates—some of them whom I’ve known of since junior high. As I spent my year wishing for one perfect friend, God was orchestrating things behind the scenes to bring me a whole group that would soon become like family to me. One day—two years later—I was hanging out with my friends at the mall. By then, I had moved past the pain and drama and was surrounded by a wonderful, quirky, amazing group of friends. We were sitting at a long table in the mall cafeteria and my best friend Alex and I decided to get up and walk around. One by one, our friends began getting up and followed behind us. Alex—amused by this scene—made a comment that we both still remember. That day, the “squad” was born, even though in some ways, it’s earliest roots can be traced back to the start of high school. During freshman year, when one of my friends was diagnosed with diabetes, a group of students from our English class met at Cracker Barrel to support him. At another point, I distinctly remember another friend sharing about a personal experience he was dealing with involving racial prejudice. Yet another time, I expressed some of my fears about the future and one friend promised that no matter what, we’d always be friends and when he has kids, I get the honorary title of being “Aunt Courtney”. We’ve all walked through some big problems together, but our friendship has always proved to be bigger. Our “squad” is about as diverse as any friend group can be, with a mix of personalities, interests, and dreams, but we share a common friendship and we were brought together according to God’s plan. I have also been blessed to make friends through the blogging world, and have met people from other states and countries—even places as far as Nigeria! In the Bible, Jesus models friendship through his relationships with his disciples and fellow-sojourners. Meanwhile David and Jonathan, along with Ruth and Naomi show what it means to have a strong unbreakable friendship. I have been blessed with friends like this, and I pray God continues to work in our friendships, drawing us each closer to Him through our relationships with each other. Throughout our life here, we are given many wonderful gifts from above and I believe that one of the greatest gifts is the relationships that we have with one another, as well as our friendship with our Heavenly Father. In Christ, we always have the assurance of friendship, and a family who will be by our side for all eternity. Jesus calls us to be a family— an eternal “squad” that will never fade away. I love this blog post by my little sister in Christ and I feel as though everyone should read this. There is so much to learn from it!!!! I NEVER LIKED SCHOOL GROWING UP!!! It was everything I hated about life, Waking up early, having to go to bed early, learning about boring subjects, being around strange cruel people, no phones, no hats, no freedom. School felt like kid prison, but only for 7-8 hours. Everything about was horrible to me. As I have said in previous posts I wasn’t the most popular kid in school growing up. Thankfully this would turn out to be a blessing. As a child it made me feel like a loser, but as I got older I realized the smaller your circle of friends the less drama you have in your life. Once I got to college, school became a lot more pleasant because with college you get freedom, you get independence, you can wear hats, use your phones and go to the bathroom without a pass lol. But all jokes aside I enjoyed college a lot in my first semester. When I got to my second and third semester things changed and it was a steady moral decline from there. I began to see that the world around me is much darker and different than the little world I’m used to living in. I realized in the real world a lot of people don’t believe in God and actually despise the idea of a God. I went to school for nursing so I took a lot of science based classes. A number of my science professors would teach as though science has it all figured out and would take jabs at religion. This combined with the fact that the profession I am entering into is underpaid and overworked made me rethink college all together. Basically to be a nurse I’d have to get my bachelors degree and spend several years of my life working to pay off student loans. Needless to say as time went on I lost more and more interest in school and the nursing field. With that being said my new goal is to attend a theology school learn more about God and His word and become an evangelist. This should give me a whole new feel of what school is like. 30 day blog challenge. day 5 What I think about education. What do I think about education? Well the answer to this question depends on who, what, when, where why and how the individual is educated. Getting an education today means something totally different from what it used to mean. The things being taught in public schools and even in some theology based schools in regards to science and human growth and development in my opinion is outrageous and is a way to control the minds of the youth. To make matters worse schools are now further confusing the minds of children by encouraging kids to embrace what ever gender they would like to be identified as and that being born with male genitalia does not make you a male and vise versa. Education for the youth is nothing more than a way to confuse and brainwash children in their adolescence. But when you get older you have college to look forward to. This is pretty much a prolonged learning experience designed to take your money and keep you out of the working field for as long as possible. Most Doctors, Nurses, surgeons and other health care professionals I work with have admitted that most of the things they’ve learned in college they did the even need and that they did not truly learn to be what they are until they started working in their field. 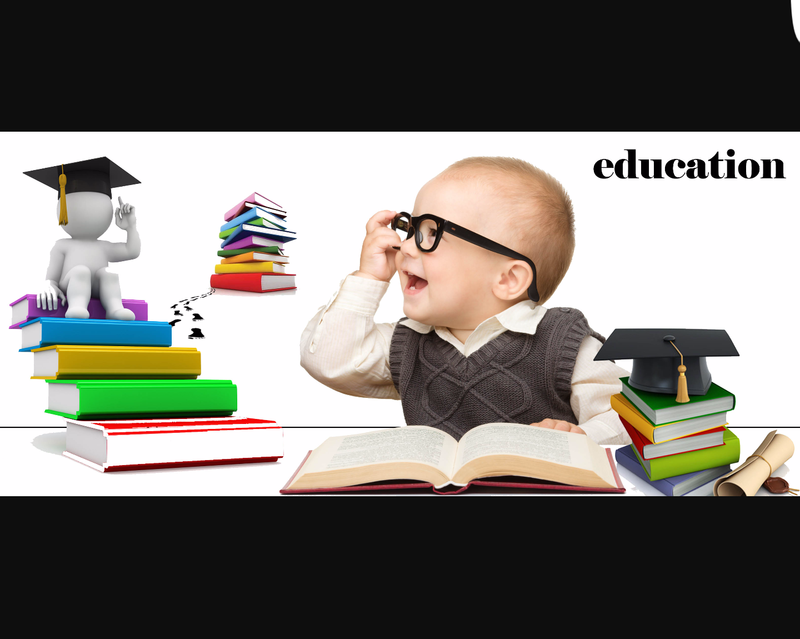 Education as a form of enlightenment or training in a particular field I am all for, encourage and believe is an absolute necessity, but the way children are taught and the things they are taught today I am 100% against. Because those things are 100% against God. Ya know, It is so ironic that while trying to think of the things that I’m bad at I actually wound up finding a whole bunch of things that I’m good at. I realize that not a lot of people are fortunate enough to say they are good at quite a few things so I just would like to acknowledge that I am truly grateful for every single thing that I have the slightest bit of skill in. Hopefully all that I am good at will lead me to leading someone else to Christ.